What should I do? What supplies do I need? What do I do after a storm? ❏ Dress in several layers of lightweight clothing, wear mittens and a hat (preferably one that covers your ears). ❏ Wear waterproof, insulated boots to keep your feet warm and dry and to maintain your footing in ice and snow. ❏ Minimize travel. If travel is necessary, keep a disaster supplies kit in your vehicle. ❏ Listen to a NOAA Weather Radio or other local news channels for critical information from the National Weather Service (NWS). ❏ Winterize your vehicle and keep the gas tank full. A full tank will keep the fuel line from freezing. ❏ Insulate your home by installing storm windows or covering windows with plastic from the inside to keep cold air out. ❏ Maintain heating equipment and chimneys by having them cleaned and inspected every year. ❏ Bring pets/companion animals inside during winter weather. Move other animals or livestock to sheltered areas with non-frozen drinking water. ❏ Running water, even at a trickle, helps prevent pipes from freezing. ❏ All fuel-burning equipment should be vented to the outside and kept clear. ❏ Frostbite and hypothermia are two dangerous and potentially life-threatening emergencies. Learn how to care for these emergencies by taking a first aid class. ❏ Go to a designated public shelter if your home loses power or heat during periods of extreme cold. ❏ Avoid driving when conditions include sleet, freezing rain or drizzle, snow or dense fog. ❏ Before tackling strenuous tasks in cold temperatures, consider your physical condition, the weather factors and the nature of the task. ❏ Protect yourself from frostbite and hypothermia by wearing warm, loose-fitting, lightweight clothing in several layers. Stay indoors, if possible. ❏ Help people who require special assistance such as elderly people living alone, people with disabilities and children. ❏ Check on your animals and make sure that their access to food and water is not blocked by snow drifts, ice or other obstacles. If possible, bring them indoors. ❏ Never use a generator, grill, camp stove or other gasoline, propane, natural gas or charcoal-burning devices inside a home, garage, basement, crawlspace or any partially enclosed area. Locate unit away from doors, windows and vents that could allow carbon monoxide to come indoors. ❏ The primary hazards to avoid when using alternate sources for electricity, heating or cooking are carbon monoxide poisoning, electric shock and fire. ❏ Install carbon monoxide alarms in central locations on every level of your home and outside sleeping areas to provide early warning of accumulating carbon monoxide. ❏ If the carbon monoxide alarm sounds, move quickly to a fresh air location outdoors or by an open window or door. If your community experiences a severe winter storm, or any disaster, register on the American Red Cross Safe and Well Web site available through RedCross.org to let your family and friends know about your welfare. If you don’t have Internet access, call 1-866-GET-INFO to register yourself and your family. arrive to assist you. 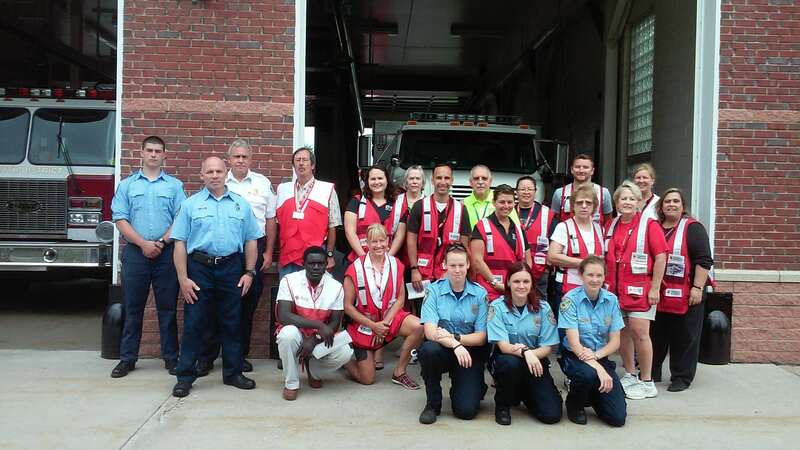 All information provided by the Red Cross for it’s Ready 365 Member Disaster Restoration Services to use.